We're all for people making things that make PaperCut better. That's why we have one of the biggest collections of third-party integrations around. They're all tried and tested with our customers, so give them a whirl to take your PaperCut solution to the next level. Self service value loader for account holders, enabling coins, notes and bank card transactions to be added to PaperCut. ITS has developed a custom payment gateway that interfaces with Secure Trading to allow users to pay money into PaperCut accounts. 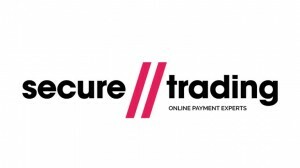 The ITS Secure Trading payment gateway is compatible with both PaperCut NG and PaperCut MF and is available directly from ITS as well as other leading resellers of PaperCut software. Worldpay is a global leader in payments processing technology and solutions. This PaperCut Payment Gateway Module allows for credit and debit card payments to be made for PaperCut printing transactions, through a RBS WorldPay Business Gateway Plus account. An online payment gateway that interfaces with MercadoPago to allow users to replenish funds to their PaperCut MF account. Available in Argentina, Brazil, Chile, Colombia, Mexico, Peru, Uruguay and Venezuela. A custom payment gateway that interfaces with DIBS Easy platform to allow users to pay money into PaperCut accounts. The ITS DIBS Easy payment gateway is compatible with both PaperCut NG and PaperCut MF and is available directly from ITS as well as other leading resellers of PaperCut software. A Online Payment Gateway which permits public and private entities to use their PayPal Website Payments Standard (WPS) accounts to retrieve the money from the users. The combination with PaperCut NF/NG allows them to tranform their printing environment from a center of costs to a center of profits. If you have different accounts, the solution provides a multiple-end of point payment support. 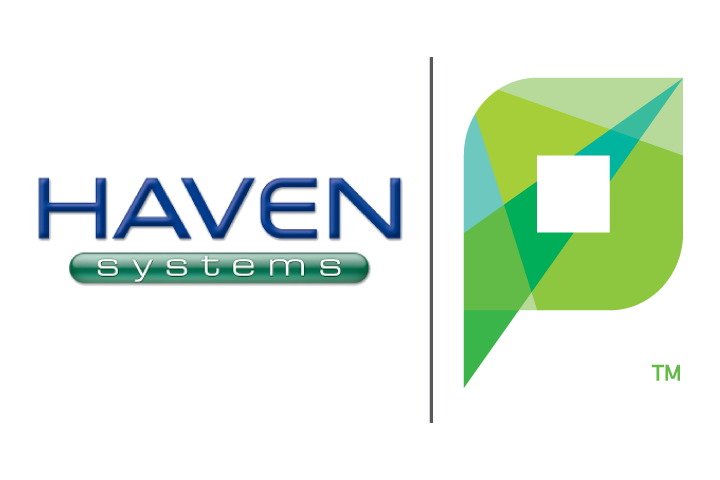 The Haven Systems on demand payment gateway will connect directly to your Haven system when a user sends a prints job or starts a copy to check their balance and deduct the cost from the user’s Haven purse. Moneris is one of North America's leading payment providers. This Payment Gateway allows for PaperCut transactions to be prcoessed via credit or debit card. This requires a Hosted Paypage service and requires a Moneris eSELECT Plus account. An online web based portal which allows PaperCut MF/NG users to use a browser and deposit funds from anywhere in the world using either credit card credentials or digital wallet technology. A link may be added to the PaperCut user web interface to make it easy for users to find the solution. 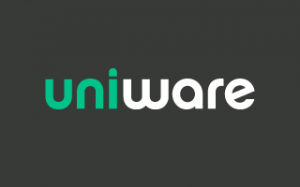 ITS have developed the integration between PaperCut and Uniware to allow for students to pay for their printing and copying “On Demand” via their Uniware account. WisePay is a secure online payment service that allows parents and guardians to make payments to their children’s school using their debit or credit cards to pay for printing and copying. ITS have developed an online payment gateway that interfaces with WisePay and PaperCut. The WisePay payment module is compatible with both PaperCut NG and PaperCut MF. 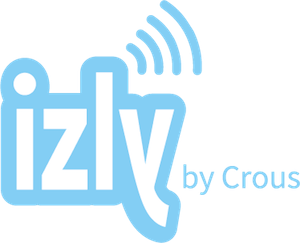 Payment with Izly by Crous is used by the CROUS, particularly in catering in French higher education institutions. My Student Account is an online ordering and cashless schools system. This Payment Gateway allows for users to utilise their My Student Account campus card to process printing transactions. Unilink Connect allows users to add funds to their PaperCut account through OneStopSecure®. This connection is fully certified and supported by UniLink. A connector that lets users top up their PaperCut account using WisePay – a cashless, single-platform system providing managed services in the education and local authority sector. CardSmith develop campus card systems for education and other types of organizations. The PaperCut payment gateway module for CardSmith provides integration that allows students to pay for printing from their CardSmith account. The PaperCut Payment Gateway Module for PayPal Payflow Link allows users to make payments via a credit card, debit card or PayPal account into their PaperCut account. Payments are processed securely off-site by PayPal. A custom payment gateway that interfaces with BKM Express platform to allow users to pay money into PaperCut accounts. 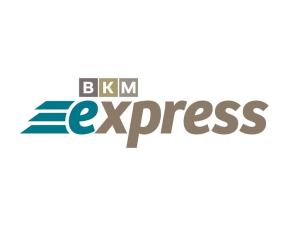 The iTS BKM Express payment gateway is compatible with both PaperCut NG and PaperCut MF and is available directly from iTS as well as other leading resellers of PaperCut software. A French payment system for French educational institutions. It lets students pay for copy and print on demand via their IZLY account. Nelnet delivers payment technology for a large number of campus' across the United States. The Nelnet payment gateway allows for Papercut to integrate into Nelnet's Commerce Manager System to allow for Credit Card transactions. CBORD is a popular one-card payment system used in many college campuses throughout the world. CBORD allow people to pay for on-campus services using their CBORD credit/account. The PaperCut CBORD payment gateway allows PaperCut to integrate with CBORD to allow students to pay for printing from their CBORD account. A custom payment gateway that interfaces with Ingenico to let users top up their PaperCut accounts. Compatible with both PaperCut NG and MF, and available directly from iTS and other leading PaperCut resellers. A custom online payment gateway that interfaces with ParentPay to let parents top up their children's PaperCut accounts. Compatible with both PaperCut NG and MF. Blackboard Transact is Blackboard’s solution for managing campus payments and security/access. The PaperCut payment gateway module for Blackboard provides integration that allows students to pay for printing from their Blackboard account. A custom payment gateway from that interfaces with PayBox to let students and parents to top up their PaperCut accounts. Compatible with both PaperCut NG and MF, and available directly from iTS and other leading PaperCut resellers. ITS have developed the integration between PaperCut and SymPAY to allow for users to pay for their printing and copying “On Demand” via their SymPAY account. The PaperCut Payment Gateway Module for PayPal Standard Payments allows users to make payments via a credit card, debit card or PayPal account into the host organisation's PaperCut account. A Online Payment Gateway which permits public and private entities to use their Paybox account to retrieve the money from the users. 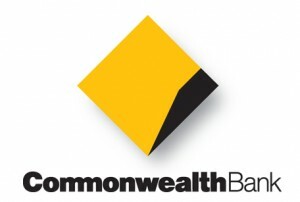 Commweb is a interface provided by the CommonWealth Bank of Australia, to facilitate payments whereby a card is not present. This payment gateway allows for PaperCut to leverage Commweb in order to allow for users to process printing payment transactions. CyberSource Secure Acceptance allows for secure and fast payments among web and mobile. While offering features to impove the checkout experience. The CyberSource Web Secure payment gateway allows users to seemlessly integrate Papercut directly through Cybersource's web interface. NuVision iAMECS is a campus card payment/transaction system. The PaperCut payment gateway module for NuVision allows students to pay for printing from their NuVision account. This PaperCut Payment Gateway Module allows you to process print transactions with credit and debit cards, through a Realex merchant account with the Realauth Redirect service enabled. An integration that lets users connect UniCard and its modular system to PaperCut. UniCard's various modules range from access control, to parking and attendance systems. The Barclaycard ePDQ Cardholder Payment Interface(CPI) is a service provided Barclays Bank. This payment gateway allows for users to process PaperCut transactions via the user's ePDQ CPI account. A custom payment gateway that interfaces with the virtual POS from Redsys to lets students and parents top up a student's PaperCut account. Most Spanish banks offer virtual POS from RedSys. Compatible with both PaperCut NG and MF, and available directly from iTS and other leading PaperCut resellers. Official Payments is a leading provider of electronic payment solutions for the colleges and universities across the United States. This payment gateway allows for the manual transferring of fund to a user's PaperCut account. Accept credit card payments. using an Authorize.Net merchant Payment Gateway Account. SKUARIO offers an open payment platform that seamlessly integrates with Papercut MF and PaperCut NG. Organizations can easily manage funds with minimal administrative effort, whilst complying with European PSD2.0 regulations. Funds can also be used for other micro payments, for example buying coffee or using vending machines. Users create and manage their own accounts and top up their balance instantly via the SKUARIO mobile app or the web portal with all major credit cards, PayPal, fund transfers, and many more. A Online Payment Gateway which permits public and private entities to use their Ogone - Ingenico accounts to retrieve the money from the users. Cashnet, a Blackboard company, provides colleges and universities with one secure platform to manage payments on campus.This Payment Gateway Module allows for credit card and electronic check payments, but requires a registered CASHNet account and eMarket site. ITS has developed a custom payment gateway that interfaces with Przelewy 24 to allow users to pay money into PaperCut accounts. The ITS Przelewy 24 payment gateway is compatible with both PaperCut NG and PaperCut MF and is available directly from ITS as well as other leading resellers of PaperCut software. Way2Pay (developed by Counter Solutions) offers a complete cashless payment solution. ITS have developed the integration between PaperCut and Way2Pay to allow for students to pay for their printing and copying “On Demand” via their Way2Pay account. Heartland develops a variety of payment systems. Heartland’s OneCard system is Heartland’s solution for managing campus payments. The PaperCut payment gateway module for Heartland provides integration that allows students to pay for printing from their Heartland OneCard account. An online payment gateway that interfaces with Transbank's Webpay Plus to allows users to replenish funds to their PaperCut MF account with credit cards or debit card. Imports ActionStep matter records into PaperCut shared accounts the moment they are created and removes them as the matter is archived. This allows your firm to bill all PaperCut printing/copying/fax & scans daily. Using PaperCut's integrated scanning, you can also send OCR PDF documents directly to the chosen ActionStep matter file from your Multi-function copier. Imports MYOB Accountants Enterprise Practice Manager matter records into PaperCut shared accounts the moment they are created and removes them as the matter is archived. This allows your firm to bill all PaperCut printing/ copying/fax & scans daily. Customized configuration of Trial Works facilitating the automation and sync of Trial Works client and matter data directly with PaperCut’s Shared Accounts. Scheduled reports for import via Trial Works' import feature, can be delivered daily, weekly or monthly depending on the customer’s billing cycle eliminating manual transaction entries. Customized configuration of Juris facilitating the automation and sync of Juris client and matter data directly with PaperCut’s Shared Accounts. Scheduled reports for import via Juris' import feature, can be delivered daily, weekly or monthly depending on the customer’s billing cycle eliminating manual transaction entries. Deliver excellent client services by using PaperCut Integrate scanning to OCR PDF documents directly to the matter file from any multi-function copier. PaperCut and Affinity support productivity and growth for mid-tier law practices wishing to generate income through captured print/copy/fax & scan transactions. There is zero administration with automated real-time synchronisation of matter files with PaperCut shared accounts and the posting of transactions to WIP. Customers who use the FilePro practice management system can integrate with PaperCut MF or NG to automate and streamline workflows. 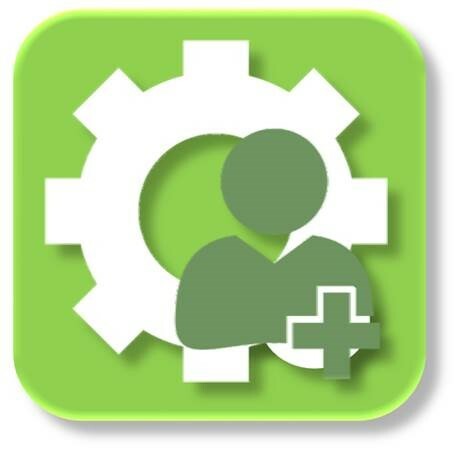 FilePro customer billing codes and matter numbers are automatically created in PaperCut MF/NG as shared accounts. PaperCut MF/NG job details can then be manually transferred to FilePro for cost recovery. Customers who use the LEAPCloud practice management system can integrate with PaperCut MF or NG to automate and streamline workflows. LEAPCloud customer billing codes and matter numbers are automatically created in PaperCut MF/NG as shared accounts. PaperCut MF/NG job details are then transferred to LEAPCloud for cost recovery. Customized configuration of TimeSolv facilitating the automation and sync of TimeSolv client and matter data directly with PaperCut’s Shared Accounts. Scheduled reports for import via TimeSolv’s import feature, can be delivered daily, weekly or monthly depending on the customer’s billing cycle eliminating manual transaction entries. The integration provides special formatted reports for import via Tabs 3 Device Interface tool on the desired daily, weekly, or monthly billing cycle. This eliminates the need for manual individual transaction entries. An application that uses ConnectWise's API to import usage information from PaperCut into ConnectWise, putting everything you need to bill a client in one place. With more than 90,000 users and 6,000 businesses, ConnectWise is a leading business management platform for companies that support, service, and sell technology. A custom connector and configuration for Juris that automates the formatting and synchronisation of Juris Client and matter information from the Juris database directly with PaperCut's Shared Accounts. It also provides special formatted reports for import, via Juris’s Transaction import feature, on the desired daily, weekly, or monthly billing cycle. This eliminates the need for individual manual transaction entries. Imports Practice Evolve matter records into PaperCut shared accounts the moment they are created and removes them as the matter is archived. This allows your firm to bill all PaperCut printing/ copying/fax & scans daily. Using PaperCut's Integrated scanning, you can also send OCR PDF documents directly to the chosen Practice Evolve matter file from your Multi-function copier. Customized configuration of Sage Accounting facilitating the automation and sync of Sage Accounting client and matter data directly with PaperCut’s Shared Accounts. Scheduled reports for import via Sage Accounting’s import feature, can be delivered daily, weekly or monthly depending on the customer’s billing cycle eliminating manual transaction entries. The OfficeRnD connector allows members to automatically be created in PaperCut without the need for LDAP or AD. Using OfficeRnD also allows costs for copy, print and other services to be billed back to the Office RnD account at a frequency of your choosing. 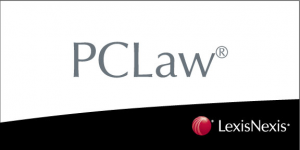 Extend PCLaw legal practice management system functionality and drive income within a firm by capturing PaperCut print/copy/fax & scan transactions. There is zero administration with real-time synchronisation of matter files and PaperCut shared accounts. Save time by using PaperCut's Integrated scanning to digitise your documents at any Multi-function copier and send the output directly to PCLaw. Customized configuration of Tabs3 facilitating the automation and sync of Tabs3 client/matter data directly with PaperCut’s Shared Accounts. Scheduled reports for import via Tabs3’s import feature, can be delivered daily, weekly or monthly depending on the customer’s billing cycle eliminating manual transaction entries. Imports Infinitylaw matter records into PaperCut shared accounts the moment they are created and removes them as the matter is archived. This allows your firm to bill all PaperCut printing/ copying/fax & scans daily. Customized configuration of QuickBooks facilitating the automation and sync of client and matter data directly with PaperCut’s Shared Accounts. In addition to automation, scheduled reports for import via QuickBooks’ import feature, can be delivered daily, weekly or monthly depending on the customer’s billing cycle eliminating manual transaction entries. Customized configuration of TimeSlips facilitating the automation and sync of TimeSlips client and matter data directly with PaperCut’s Shared Accounts. Scheduled reports for import via TimeSlips’ import feature, can be delivered daily, weekly or monthly depending on the customer’s billing cycle eliminating manual transaction entries. A custom connector and PCLaw configuration that automates the formatting and sync of PCLaw’s matter list with PaperCut's Shared Accounts. The integration provides special formatted reports for import on daily, weekly, or monthly billing cycle. This eliminates the need for manual individual transaction entries. Integration with SISJURI law system developed by TOTVS. A connector that lets customers share funds stored in SIGE3 education control and payment systems, and use them to pay for PaperCut print and copy jobs. This lets users set up a central wallet for all services – like canteen, stationery, library, vending machines, and PaperCut. IBS Time Replication for PaperCut allows for users to set time resterictions for the secondary servers to communicate with the primary server while taking care of internet / network connections. Customized configuration of ProLaw facilitating the automation and sync of ProLaw client and matter data directly with PaperCut’s Shared Accounts. In addition to automation, scheduled reports for import via ProLaw’s import feature, can be delivered daily, weekly or monthly depending on the customer’s billing cycle eliminating manual transaction entries. A custom connector that automatically creates customer billing codes and matter numbers from Lexis Affinity into PaperCut, records the transactional data charged to those accounts in PaperCut and pushes it back into into Lexis Affinity allowing for cost recovery. Meridean is a UK based Case Management Software provider. Selectec have developed an application to automatically synchronize Meridean's clients and matters with PaperCut's Shared Accounts in order to make billing customers easier. A custom connector and configuration of ProLaw that automates the formatting and sync of Prolaw Client and matter information from the ProLaw database directly with PaperCut's Shared Accounts. It also provides special formatted reports for import, via ProLaw’s transaction import feature, on the desired daily, weekly, or monthly billing cycle. This eliminates the need for individual manual transaction entries. An application that automatically syncs Artiion's clients and matters with PaperCut's Shared Accounts to make customer billing easier. Users can also import usage information from PaperCut into Elite, putting everything you need to bill a client in one place. 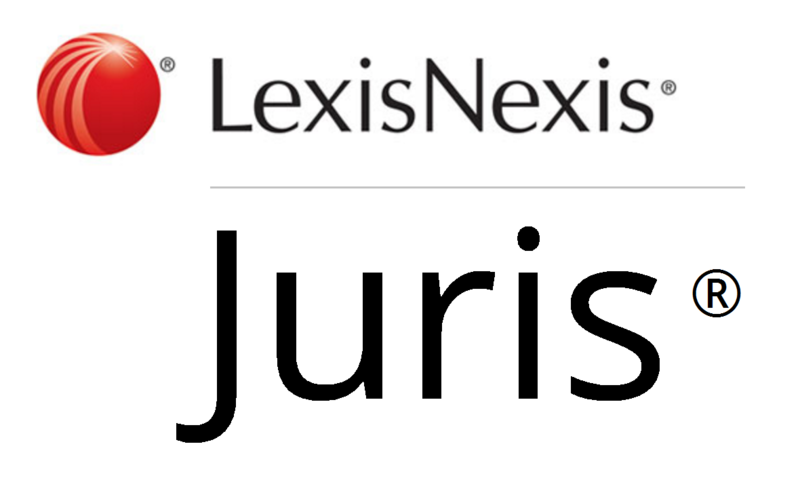 Artiion is a Case Management System by LexisNexis, a leading global provider of workflow solutions for professionals in the legal, risk management, corporate, government, law enforcement, accounting, and academic markets. Customized configuration of Ellucian Banner facilitating the automation and sync of Banner student/department data directly with PaperCut’s Shared Accounts. Scheduled reports for import via Banner’s import feature, can be delivered daily, weekly or monthly depending on the customer’s billing cycle eliminating manual transaction entries. An application that automatically syncs Cognito's clients and matters with PaperCut's Shared Accounts to make customer billing easier. Cognito Software is one of the UK's leading legal software providers, providing Case Management, Practice Management and Legal Accounting solutions to over 2500 solicitors. An application that automatically syncs Elite's clients and matters with PaperCut's Shared Accounts to make customer billing easier. Users can also import usage information from PaperCut into Elite, putting everything you need to bill a client in one place. Elite (by Thomson Reuters) is a premier provider of Financial and Practice Management Systems to the legal industry and other professional services markets. LEAP is an integrated legal practice management and accounting cloud solution. Synchronise a firms matter file numbers to PaperCut shared accounts and drive revenue for all print/copy/fax & scan transactions. Using PaperCut's Integrated scanning, automate sending OCR PDF documents directly to a matter file from your Multi-function copier to increase office efficiencies. Imports LawMaster matter records into PaperCut shared accounts the moment they are created and removes them as the matter is archived. This allows your firm to bill all PaperCut printing/ copying/fax & scans daily. Customized configuration of PC Law facilitating the automation and sync of PC Law client and matter data directly with PaperCut’s Shared Accounts. Customers who use the Actionstep practice management system can integrate with PaperCut MF or NG to automate and streamline workflows. Actionstep customer billing codes and matter numbers are automatically created in PaperCut MF/NG as shared accounts. PaperCut MF/NG job details are then transferred to Actionstep for cost recovery. An application that automatically syncs Proclaim's clients and matters with PaperCut's Shared Accounts to make customer billing easier. 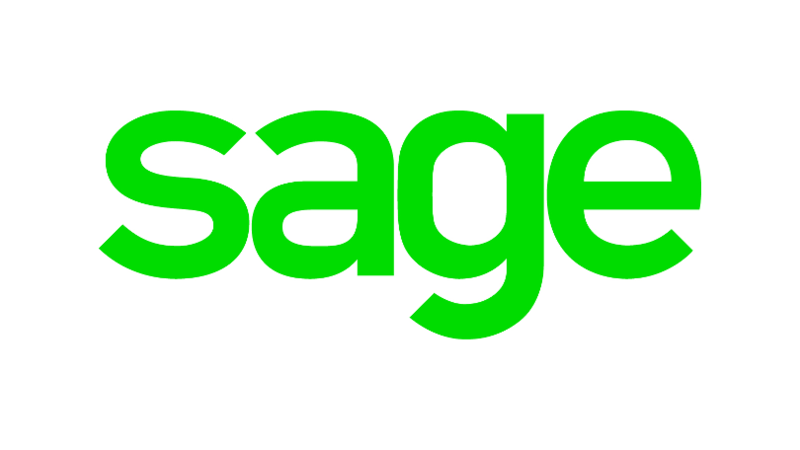 Sage HandiSoft Software has developed and marketed one of Australia's most widely used taxation and accounting practice management software suites since 1988. Now it's possible to import Handisoft client records into PaperCut shared accounts the moment they are created allowing an accounting firm to bill all PaperCut print/copy/fax & scans on a daily basis. A Data Integration Service that works with a number of accounting systems. These systems use client codes to charge clients for print/copy activities. Users can automatically import client accounts into PaperCut, and PaperCut transactions back into the accounting system. 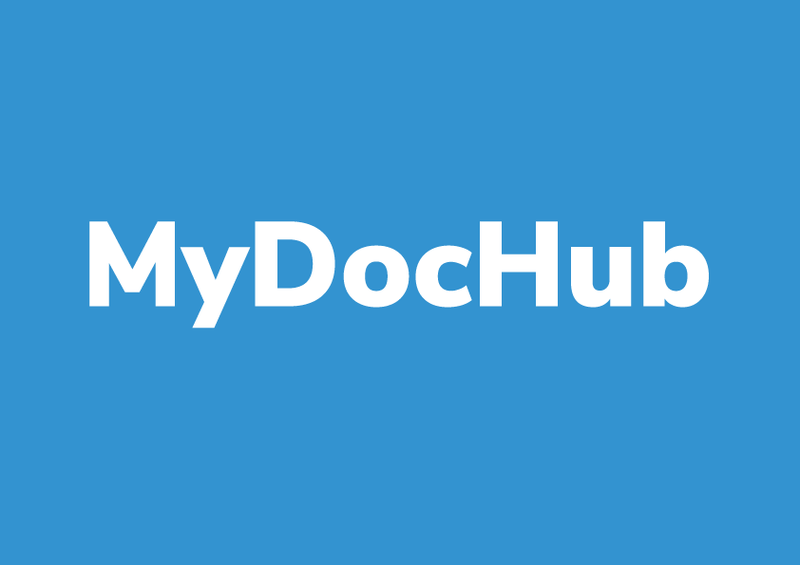 The MyDocHub is a simple cloud document management system that we have integrated with a printing archiving feature for PaperCut. Once all printed jobs are uploaded to MyDocHub, we run OCR to transform in searchable document. The Dynamic Reports solution allows for customers to generate dynamic reports, save report profile and add more extensions such as .DOCX, XLSX and many others extensions, including graphic and data analysis extensions. Nexudus Spaces is a coworking management software for shared office spaces. It lets you assign printing credit (via its Nexudus Extender app) to coworkers who print with PaperCut. Print information is also pulled from PaperCut, and included in Spaces' billing information. Combining Revoco with PaperCut MF, unlocks automated integration with virtually any 3rd party Account System & allows for tracking of and billing of telephone calls, which greatly enhances the cost recovery process for customers in the Legal sector. Customized configuration of Time Matters facilitating the automation and sync of ProLaw client and matter data directly with PaperCut’s Shared Accounts. Scheduled reports for import via Time Matter’s import feature, can be delivered daily, weekly or monthly depending on the customer’s billing cycle eliminating manual transaction entries. IBSAteste is a invoicing system,that runs alongside with PaperCut NG/MF and IBSTracker Advanced. IBSAteste reads information from PaperCut for departments, cost-center, user and print queues and reads information from IBSTracker Advanced, printers and MFDs installed on the network. IBSAteste run tasks based on information returned from PaperCut and IBSTracker, and sends information to contract managers to approve. Customized configuration of Orion Software facilitating the automation and sync of Orion client and matter data directly with PaperCut’s Shared Accounts. Scheduled reports for import via Orion’s import feature, can be delivered daily, weekly or monthly depending on the customer’s billing cycle eliminating manual transaction entries. Customized configuration of Perfect Practice facilitating the automation and sync of Perfect Practice client and matter data directly with PaperCut’s Shared Accounts. Scheduled reports for import via Perfect Practice’s import feature, can be delivered daily, weekly or monthly depending on the customer’s billing cycle eliminating manual transaction entries. Customized configuration of Legal Software Systems facilitating the automation and sync of LSS client and matter data directly with PaperCut’s Shared Accounts. Scheduled reports for import via Legal Software Sys’ import feature, can be delivered daily, weekly or monthly depending on the customer’s billing cycle eliminating manual transaction entries. The ecoUserCreator application allows users to create a user account and password in PaperCut MF/NG using the native PaperCut Client. Users will be able to perform Print/Copy/Scan/Fax activities during their visits to the Library or Computer Labs with this account. The accounts created by this application can be deleted at the end of the day or by inactivity time. One of the primary benefits of creating a user account in PaperCut is to securely release jobs at the MFD, as well as add funds to their PaperCut account. The MainFrame Import solution collects all printing jobs from the MainFrame, exports them and inserts them into a PaperCut Database for centralized production reporting. GetScan is a add-on to the integrated scanning feature of PaperCut MF when text recognition is required. A searchable PDF/A can be sent directly to your home-folder, your own email address or other network paths. The conversion of scanned documents into searchable formats allows further processing of documents by third party systems such as a document management system. Physical access control solution with options to use smart card and Mobile phone credentials as access tokens. Gallagher access control readers can be assigned to PaperCut MF enabled printers, or copiers from Xerox and Konica Minolta in order to control who can access printers or copiers within the office. The Card Admin solution helps customers to manage temporary swipe cards. Cards be unassigned from a user's account when the card is returned, or temporary cards can be unssigned every night (for example). MyPC provides complete control over shared computer resource use, and allows users to view computer availability, as well as place reservations via a computer, tablet or smartphone. It includes a Custom Authentication Tool, which can configure PaperCut to use a public library's Library Management System as a custom user directory for live user authentication. MyPC also offers an optional charging module, which can configure the PaperCut wallet to hold funds for computer usage, and provide full audit trails via PaperCut Reports. Customized configuration of Perfect Law facilitating the automation and sync of Perfect Law client/ matter data directly with PaperCut’s Shared Accounts. Scheduled reports for import via Perfect Law’s import feature, can be delivered daily, weekly or monthly depending on the customer’s billing cycle eliminating manual transaction entries. Excellent! Let us know, and we'll see if we can add it to the list.